Addison County Home Health & Hospice’s Deborah Wesley tells how. 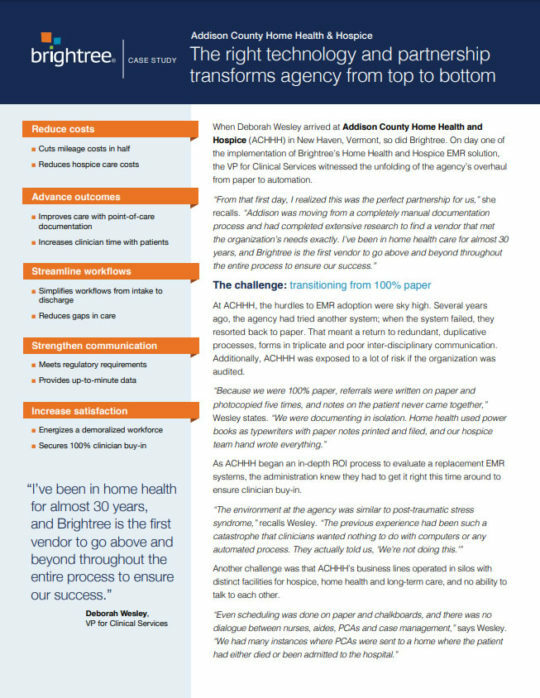 “I’ve been in home health for almost 30 years, and Brightree is the first vendor to go above and beyond throughout the entire process to ensure our success,” reports Deborah Wesley, VP for Clinical Services. Copyright © 2019 Brightree LLC.